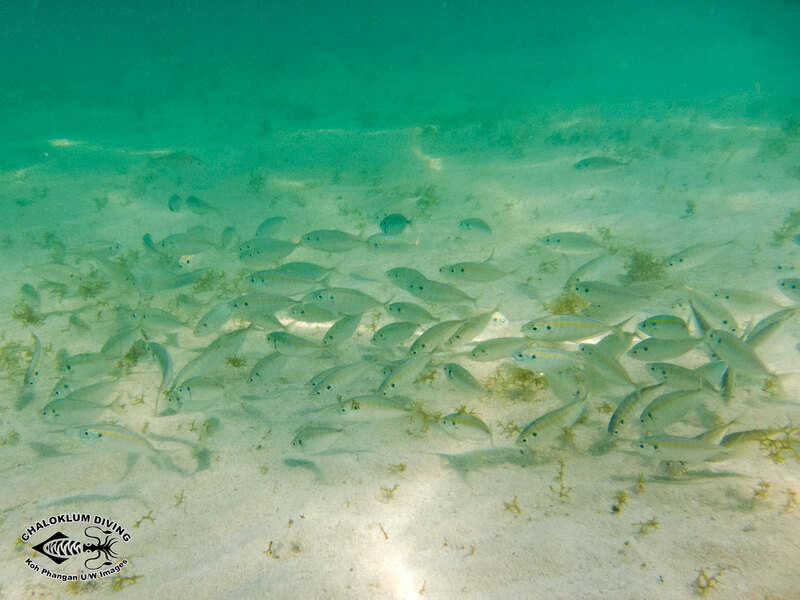 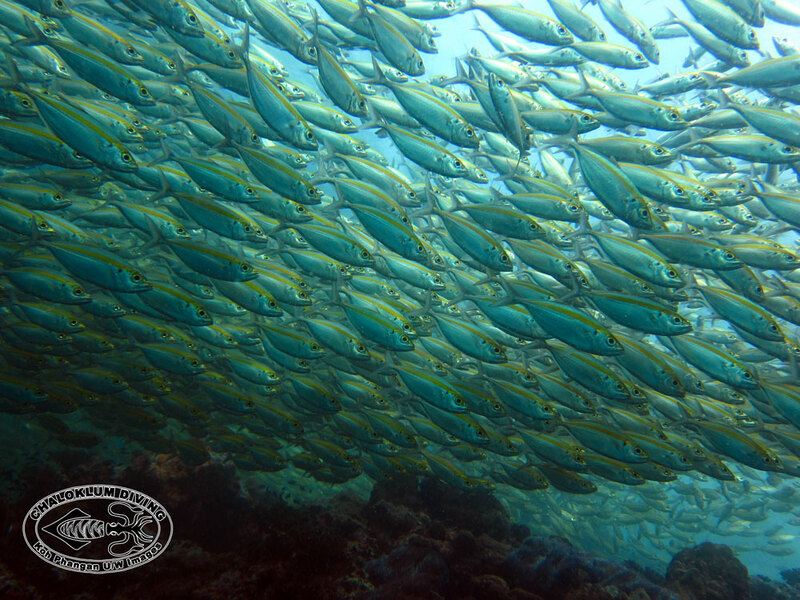 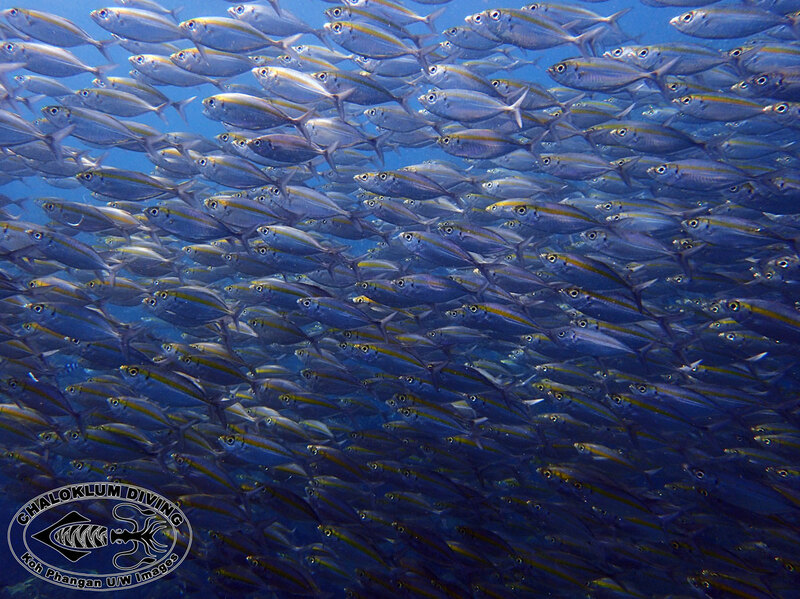 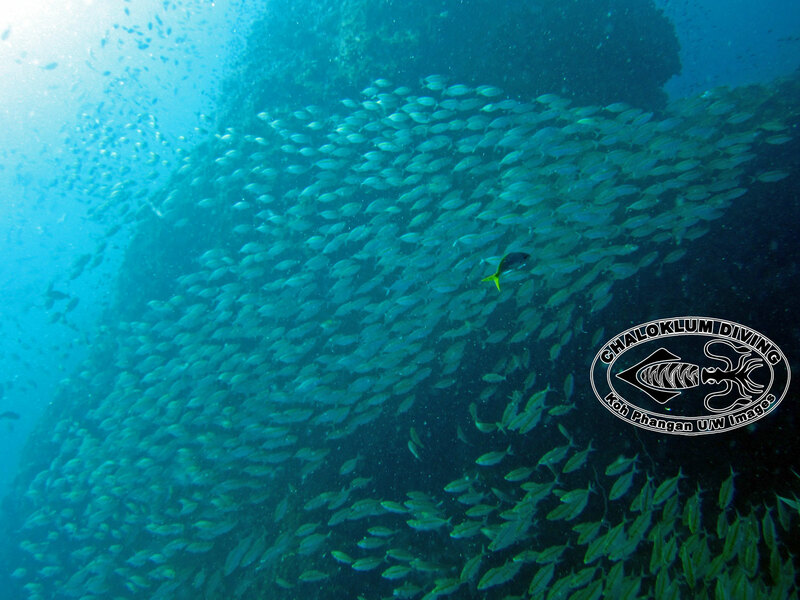 Often seen when we’re visiting our favourite dive sites, the Smooth-tailed Trevally gathers in massive, tightly packed schools. 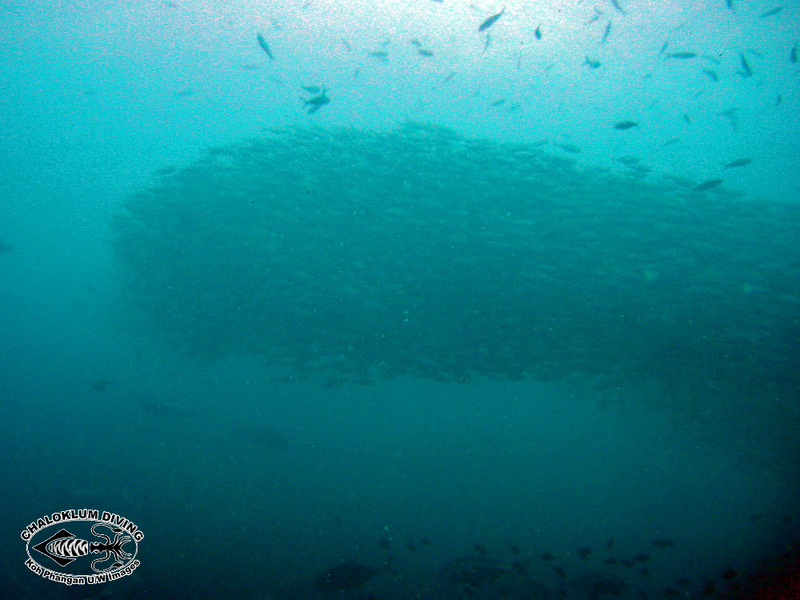 In the distance at Sail Rock they can look like some monster fish when you first look! 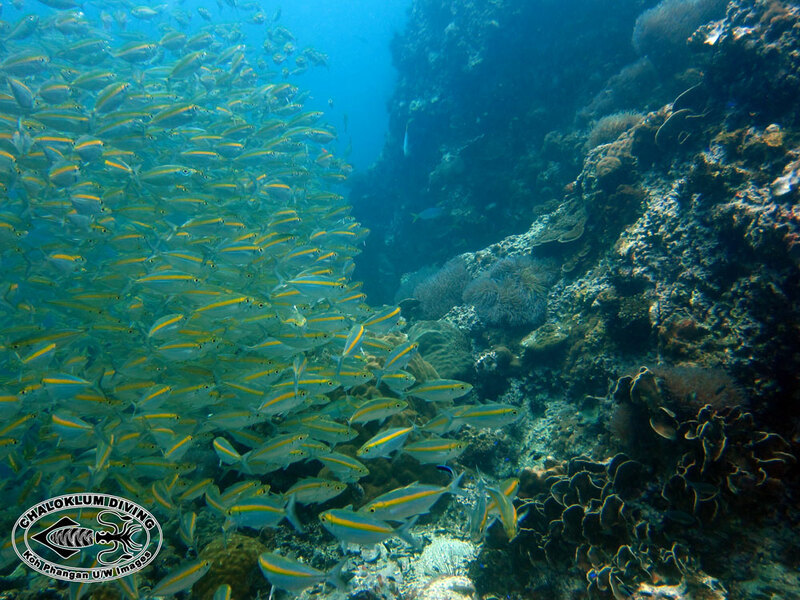 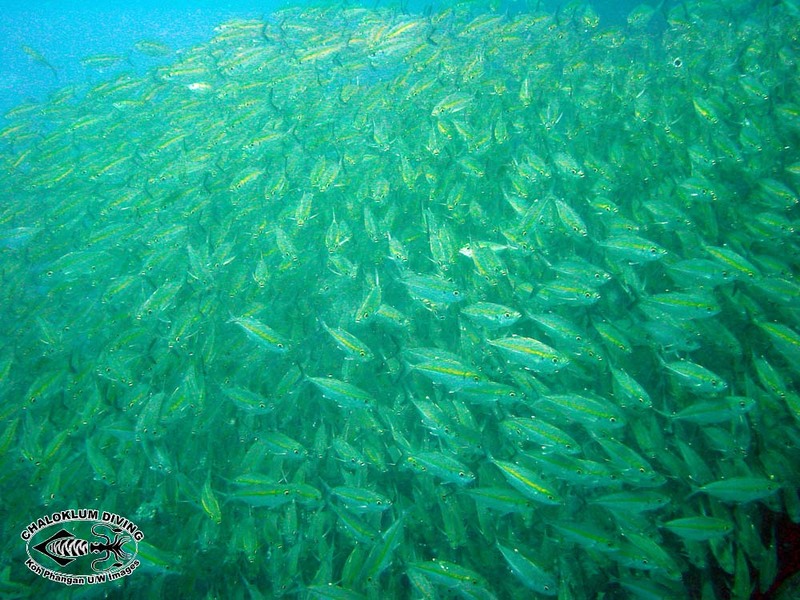 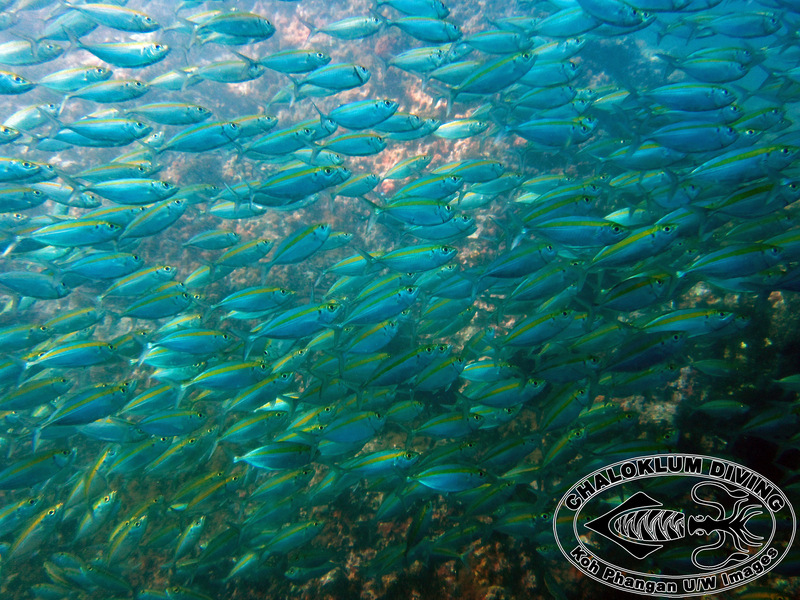 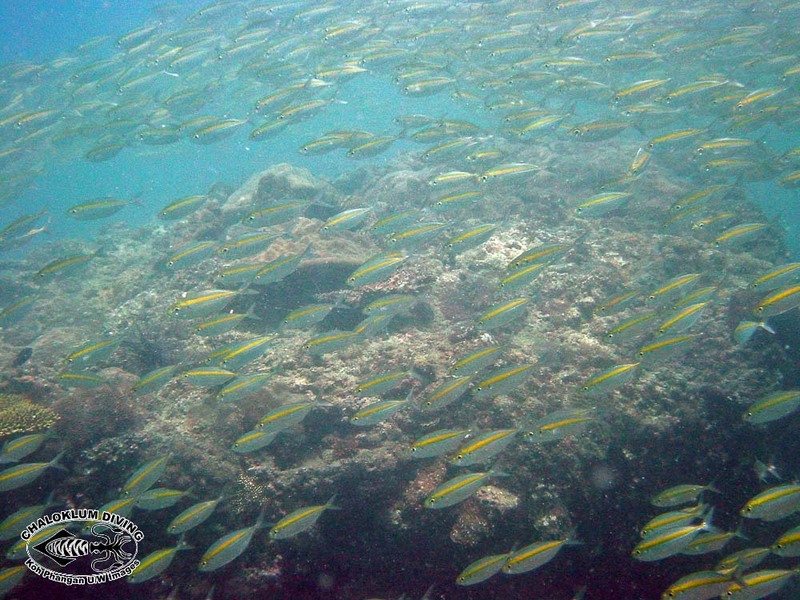 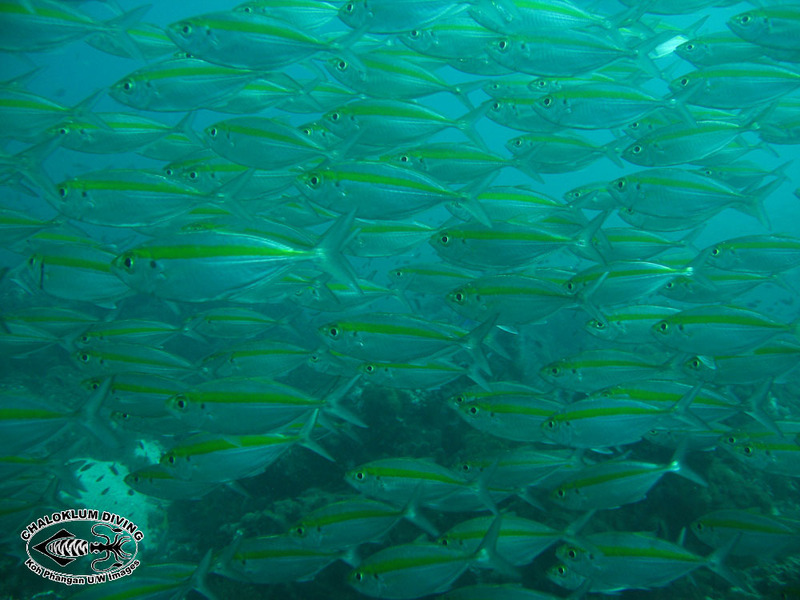 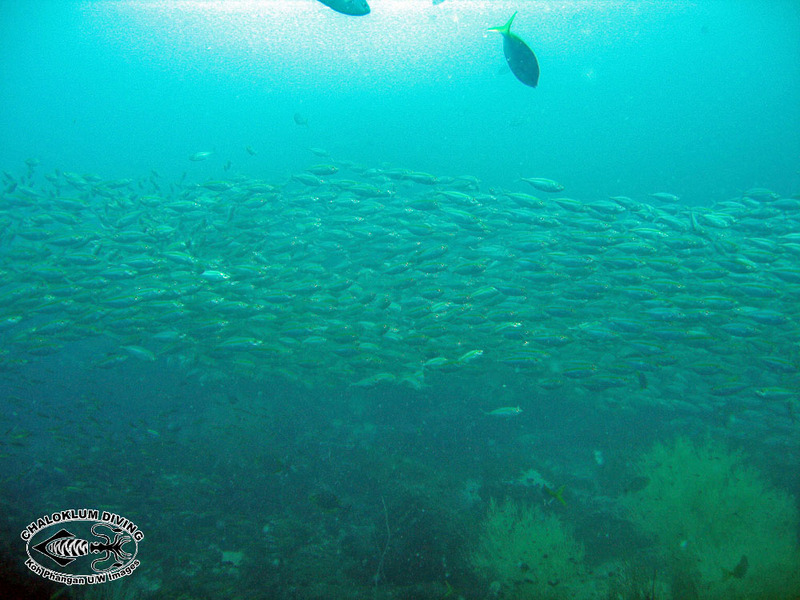 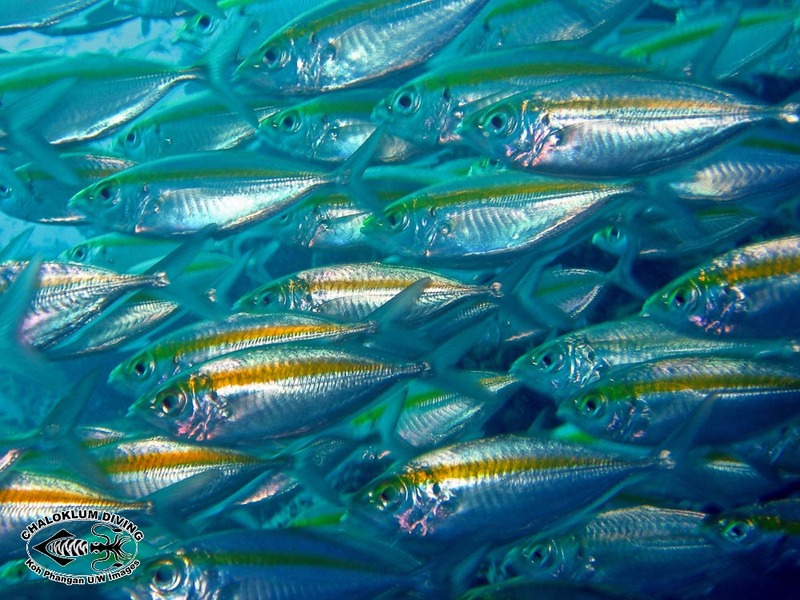 They are also a major food fish in the Gulf of Thailand.